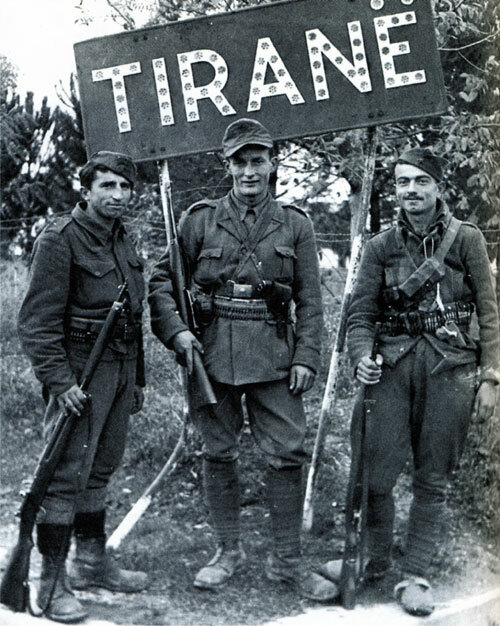 Albania was invaded by Fascist Italy in April 1939 and absorbed into Mussolini’s new ‘Roman Empire.’ In September 1943, Italy capitulated, and German forces entered Albania quickly to prevent an Allied advance in the Balkans. The Germans set up an autonomous Albanian government and did not interfere much in internal Albanian affairs. 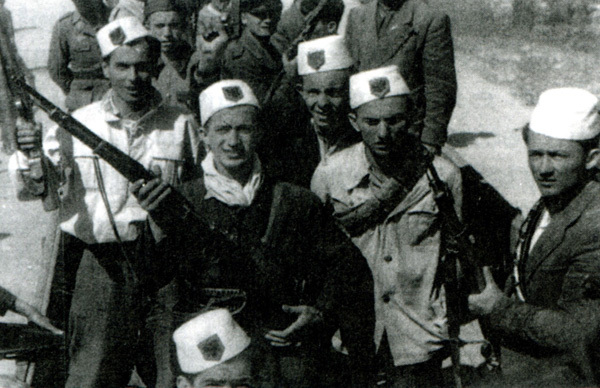 During this period, some Albanians collaborated with the fascist regimes, others, although opposed to the Germans, accepted positions in the autonomous government, and others still joined the Resistance movement. The latter was in fact three movements: the nationalist “Balli Kombëtar,” the royalist Legality movement, and the communist partisans, which soon began fighting one another. In 1943 and 1944, Albania was caught up in a bitter civil war between the three. In November 1944, the communist partisans took power and began immediately with the arrest of all public figures who were perceived to have collaborated with the occupiers or not to have supported the communist liberation movement. Sixty of these public figures were the object a treason trial in March 1945 at a communist Special Court for War Criminals and Enemies of the People, conducted by Prosecutor Koçi Xoxe (1917-1949). One of the prominent accused in the trial was Bahri Omari (1889-1945). 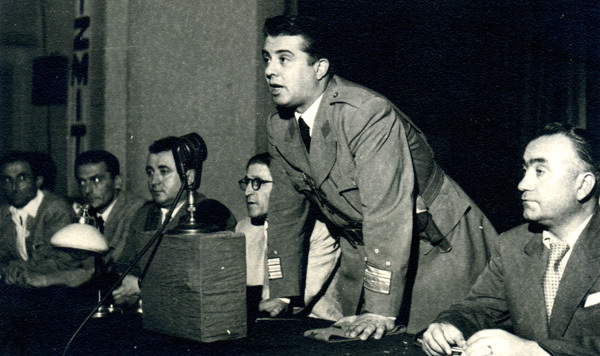 Born in Gjirokastra and educated in Turkey, Bahri Omari emigrated to the United States and edited the Boston newspaper “Dielli” (The Sun), organ of the Vatra federation. He returned to Albania at the end of the First World War and was a member of parliament for Gjirokastra from 1921 to 1924, when he founded the Democratic National Party. He left Albania when Ahmet Zogu took power in 1924 and spent the years from 1925 to 1939 in Paris. There he was a member of “Bashkimi Kombëtar” (National Union). Omari returned to Albania in 1939 and accepted a position on the council of state. 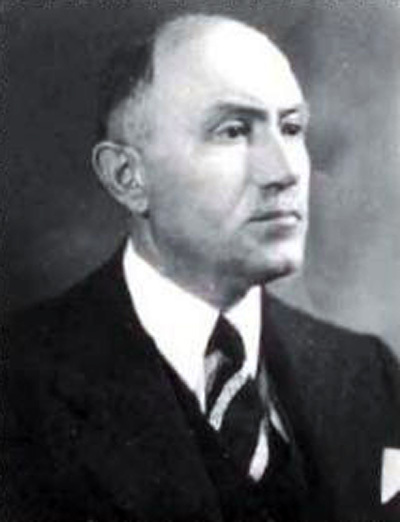 In late 1943, he served as foreign minister in the cabinet of Rexhep bey Mitrovica, and was a member of the executive board of “Balli Kombëtar.” Omari was married to Enver Hoxha’s sister, but this family link to the future dictator was not sufficient to protect him when the communists came to power in late 1944. He was sentenced to death at the trial on 13 April 1945 and was executed the next day in a ditch at Kodra e Priftit in Tirana. You betrayed the war of the people, being in relations with the enemy (with the operations of Balli, the government and the Germans against the National Liberation Army. You also negotiated with foreign reactionaries as minister of foreign affairs, against the people). (Various Balli Kombëtar documents and letters are read out from which show that the Ballists committed illegal acts in the various districts of Albania, such as seizing money, grain and clothing, and looting, as proved by the signatures of the commanders of Balli Kombëtar who intimidated those who refused to pay). Prosecutor: “We have proven here that Bahri Omari was a leading figure of Balli Kombëtar in Gjirokastra, where all those deeds, robberies and crimes took place. This was where Bahri Omari published his pamphlet, the pamphlet of Balli Kombëtar. Now Bahri Omari must bear responsibility before the People’s Court for all these robberies and crimes. A Member: “What was the occupation like? with Koçi Xoxe on the right, ca. 1946. Prosecutor: “Comrade Judges, we have proven here that Balli Kombëtar was in close collaboration with the occupiers, and committed acts of terror, but Bahri Omari does not admit this because he wants to distance himself from the crimes. If we continue with evidence, Bahri Omari will once again come out as being closely involved in Balli Kombëtar. Balli Kombëtar was the worst enemy of the National Liberation movement. Balli collaborated with the Germans, with Xhelal Staravecka, and it cannot be said that Bahri Omari was unaware of the massacres, torture and other crimes. We appealed to Bahri Omari to join our ranks. He remained faithful until the end to the occupiers, faithful also to Balli, because there was no way of effacing his criminal activity. He was purely and simply a traitor. Prosecutor: “We have evidence here from Jani Dilo that you wished to collaborate with Greek reactionary organisations. Did you want them to fight with you?